The home of the Alpine pasture, over the 20th Century, the mountains have gradually turned into a leisure and residential space. New developments are evidence of a new way of thinking and demonstrate society’s remarkable capacity for change over the years. In 1968, the major works began. The resort of Arc 1600 was the first to appear. was built from the centre of Bourg Saint Maurice and directly connected it to Arc 1600. 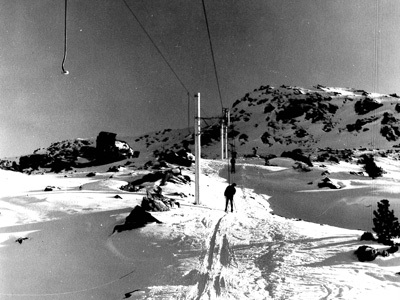 In 1989 it was to be replaced by the funicular. Serving the Aiguille Rouge (3226m), the summit of les Arcs’ ski area, this cable car with its unsupported span is a real feat of technology created by the Swiss builder Habegger. 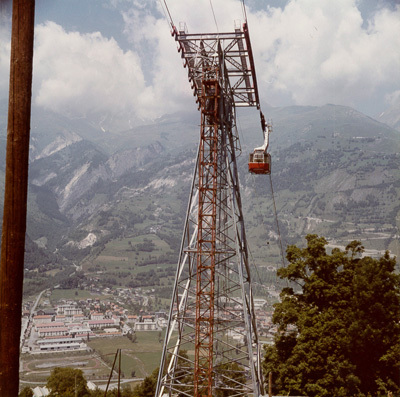 1986The construction of the funicular began. After 3 years work, the funicular saw the light of day! 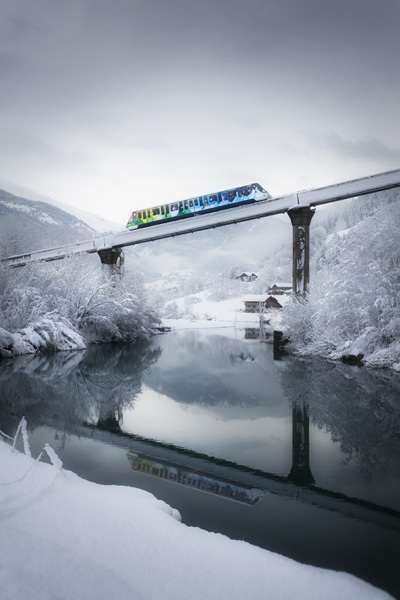 In February, it carried its first passengers. 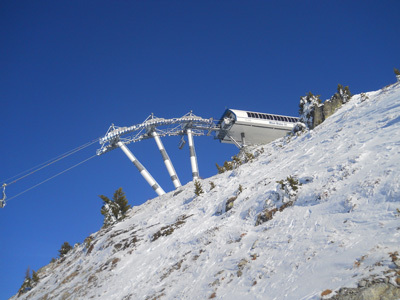 Exclusive in France, this aerial funicular could reach the les Arcs ski area from the SNCF station in Bourg Saint Maurice, terminus for the TGV, Eurostar and Thalys in just 7 minutes. 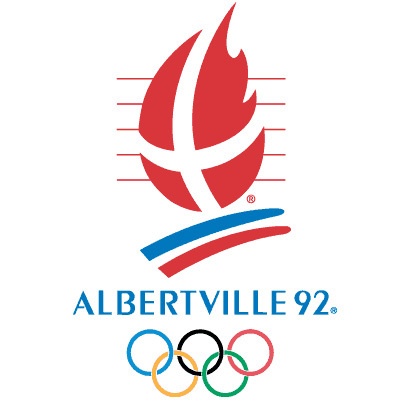 1991Building the Flying Kilometre piste for the Albertville Olympic Games in 1992. 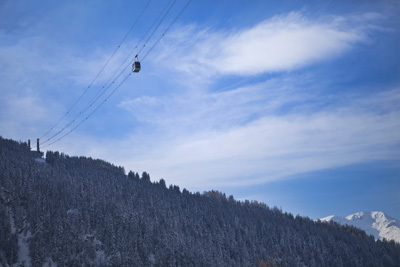 This cable car connects the les Arcs / Peisey Vallandry ski area and la Plagne in 4 minutes at a speed of 12.5m/s, with a power equal to that of a TGV locomotive. between an altitude of 1200 and 3250 metres. 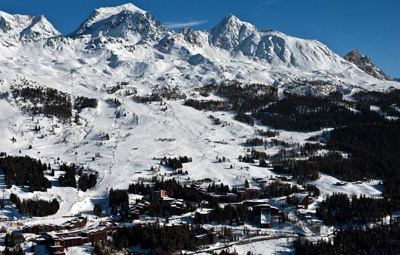 3 exceptional resorts in the 2nd biggest linked ski area in the world: Paradiski. So he did not have to leave the birthplace he loved so much, Robert Blanc, with his brothers, spent the winter working in the skiing business (guide, piste patrol, rescuer, instructor, trainer...), while he dreamed of the day when the Hauteville-Gondon municipal Alpine pasture could give birth to a mountain resort of international dimensions. 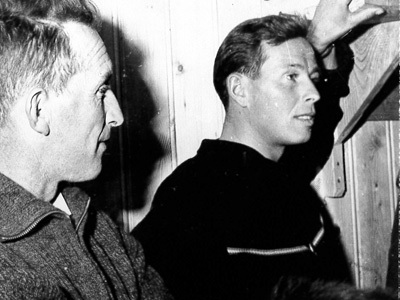 Above all, it was the meeting between Roger Godino and Robert Blanc which was at the root of creating les Arcs. Roger Godino, a young manager in property development, discovered the site in 1961. 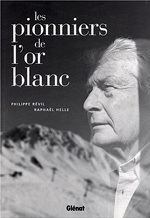 He undertook the creation of a mountain resort and in 1964 set up the Société des Montagnes de l'Arc (Les Arcs mountain company). The SMA was given the task of building the whole resort from the purchase of the land to the cultural and sporting activities and including installing the ski lifts, laying out the ski area and building the infrastructure and residential buildings and marketing them. Roger Godino who took on the role of main contractor and project manager ensured that the innovation was ongoing by surrounding himself with a dynamic and multi-disciplinary team. Through his will and tenacity, the visionary mayor, Antoine Bimet, was able to stick to the ambitious project of creating a resort on his village’s Alpine pasture. 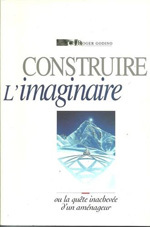 An agreement was signed on 3 October 1961 with the future developer Roger Godino to launch this vast programme. 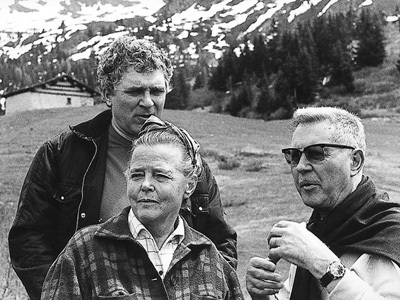 It was Denys Pradelle, architect at AAM, who introduced Charlotte Perriand to Roger Godino. 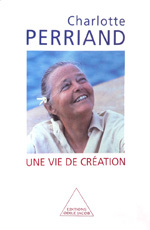 Architect and designer of genius, she worked on the creation of the various resorts of les Arcs for nearly 20 years. 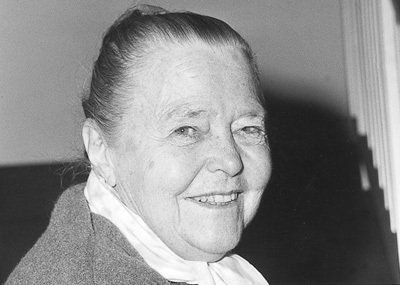 She was the soul of the group of architects whom she fascinated with her creative powers. Maintaining the cohesion of the group and avoiding drift, it was surely thanks to her that the architectural line defined at the outset persisted throughout the construction. Her concept of functionality, of the «right move», of practical form, simply beautiful without design or added decoration, was to inspire an architecture conceived from the inside outwards. Under her authority, Town Planning, Architecture and Equipment progressed in complete coherence. Through her interior layouts, she created a style that was peculiar to les Arcs. 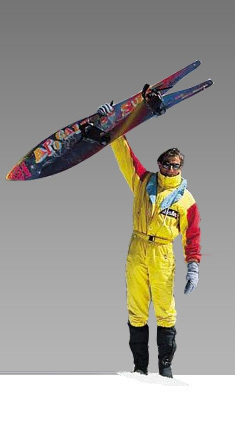 Hero of the legendary «Apocalypse Snow» films, it is thanks to him that snow surfing arrived in Europe. Régis is a pioneer and one of the legends of snowboarding. 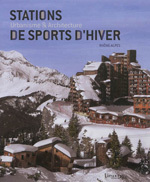 He introduced the sport to les Arcs and the finest ski areas in the world. 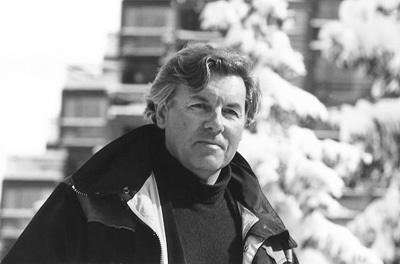 In 1981, Alain Gaymard, publicity and events manager, invited the Winterstick team of American snowboarders to the opening of the new village named Arc 2000. Accompanied by some local guides and a young local lad of 22, Régis Rolland, the Winterstick team attacked the untouched slopes of the Aiguille rouge with their strange planks. Régis caught the bug! 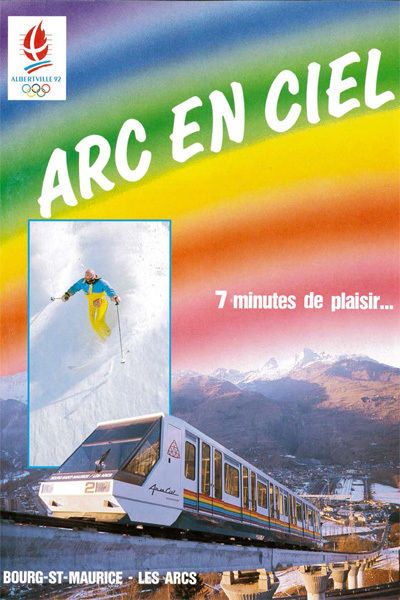 That same year, Alain Gaymard offered Régis the opportunity to appear in the les Arcs promotional film, «Ski Espaces» which was one of the first to feature a snowboarder. 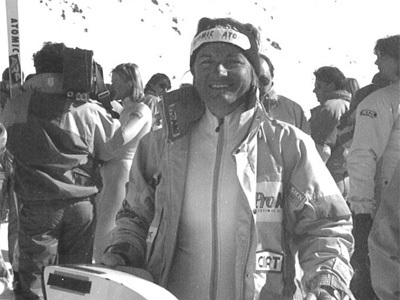 A native of Bourg Saint Maurice, Françoise Beguin is one of the fastest women in the world with a recorded speed of 209.546kph on the flying kilometre piste in les Arcs at the Albertville Olympics. He won the flying kilometre event at the Albertville Olympics at 229.299 kph on the Arc 2000 piste. 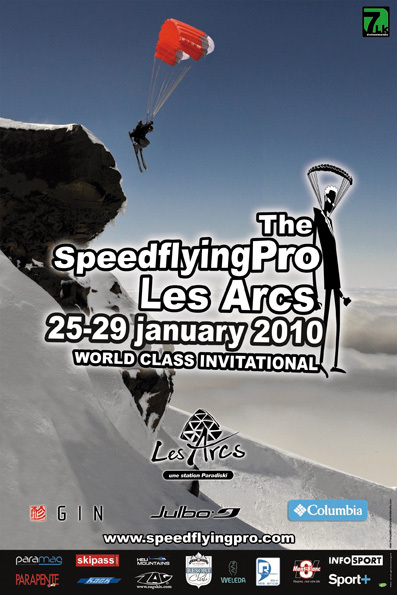 Today, speedriding is an activity open to all, regulated and performed in complete safety … Organiser of the "Speedflying Pro Les Arcs" between 2006 and 2010, Faf is also a base jumper, acrobatic para-glider, skier, parachutist and exponent of the high mountains. « The dark lord », a figurehead and an atypical native of les Arcs, was the pioneer of ski cross and freeride in France. 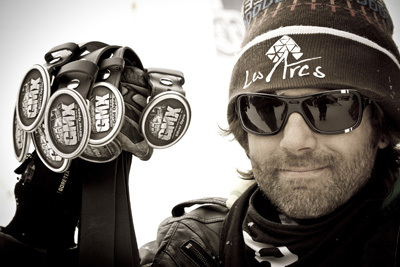 He started the 1st GMX (Gavaggio Monster Cross) in 2010 in les Arcs, the event devoted to Ski Cross and THE yardstick for Kids during the season! Enak Gavaggio took 5th place in the Vancouver Olympics in 2010! A multiple medal winner at the Winter X Games and the ski cross World Championships, he also attracts a lot of attention as a base jumper and freefall parachutist. As a fan of tennis, golf and surfing, he’s an accomplished athlete. The latter went on to design the Coupole the glued laminated timber framework of which was used as the basis for the design of les Arcs’ logo. 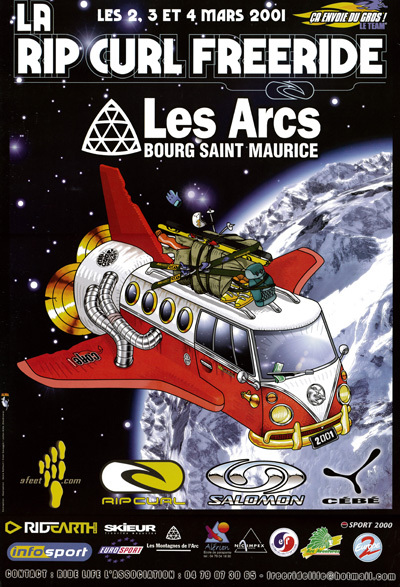 Arc 1600, a real architectural laboratory, was to serve as the basis for the design of les Arcs’ other resorts. The design of Arc 1800 is part of the ongoing research into architecture carried out in Arc 1600 by Charlotte Perriand and her team of architects. - integrating the apartment buildings into the landscape in scale with the size required by the stature of the programme. Its construction was the subject of a contest between three teams of architects. 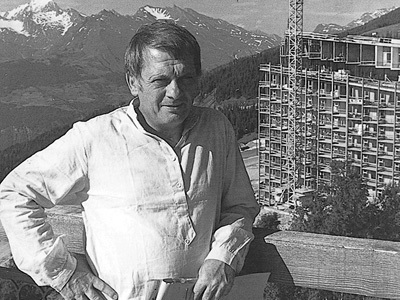 The project was entrusted to Bernard Taillefer whose task was to provide a complex with bed space for 5000, basing the layout of the resort around the hillock of le Varet. Accordingly, he conceived a resort like a «fortress that must be able to carry on life when closed against storms and to open itself to the joys of the sun...». The slender form of the roofs reminiscent of «ski jumps» form a compact unit while creating a link between the architecture and the panoramic view of Mont Blanc. The ministry of Culture and Communication took initiatives in 1999 on behalf of 20th Century architectural heritage: protection, raising awareness, restoration. The label that was set up tries to take account of the variety and intelligence of the major creations of the past century. 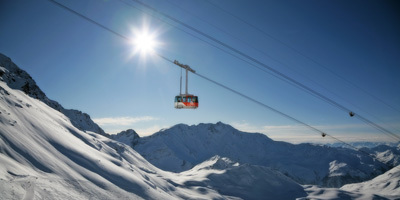 As an example of a modernity which has blended with the mountains and nature, Les Arcs has been awarded the label for the town planning and architecture of Arc 1600 and Arc 1800 and the stations of the Aiguille Rouge cable car in Arc 2000. Founded by Roger Godino and Yves Petit de Voize in 1973, the les Arcs Academy Festival is part of a desire to develop summer activities. 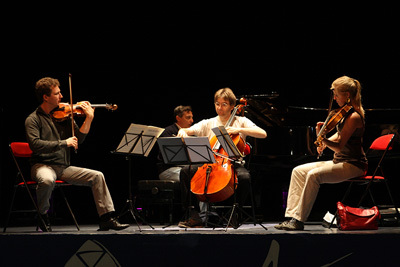 Since it began, it has occupied a unique place in French music. This French short was innovative for its time and put snow riding in the spotlight with a burlesque scenario: The Snow-riding genius, Régis Rolland - Snowboarder – has to protect the «secret of snow riding » coveted by his enemies. Awarded six international prizes, it toured the world and touched the spirits of successive generations. "Apocalypse Snow" is behind the explosion of snowboarding in Europe and Régis Rolland became its figurehead. It was the first of a trilogy of cult films made between 1983 and 1986 by Didier Lafond. 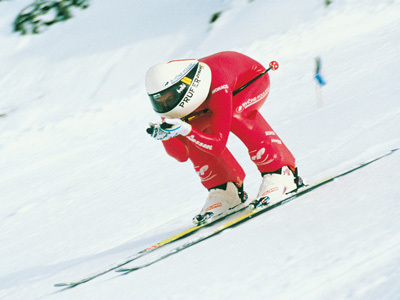 Arc 2000 hosted the speed skiing events on the legendary Flying Kilometre piste. 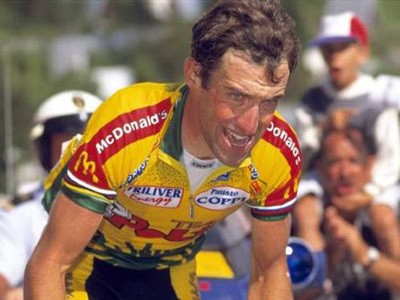 The first two Olympic champions in these events were the Frenchman Michaël Prüfer (229.299 kph), setting a new world record, and the Finn Tarja Mularin (219.245 kph). Finish in Arc 1800: an altitude of 1700m. Climb: 14.5 km at 5.8 % between Bourg Saint Maurice and les Arcs. 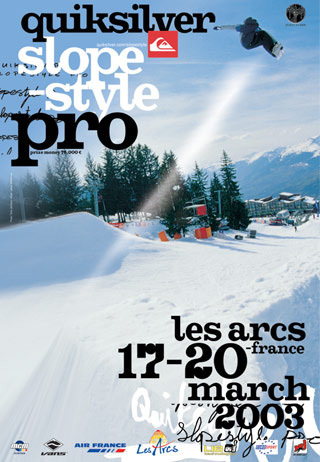 Arising from the partnership between Quiksilver and les Arcs, the Quikcup (1999 to 2001) then the Quiksilver Slope Style Pro Les Arcs (2002 to 2004) were THE unique international Freestyle competitions, 100% snowboard. They brought together the world’s best freestylers, men, women and children for a unique 3-day competition entirely devoted to slopestyle: a magical and world renowned snowpark made up of several obstacles: hip, tables, half pipe jib and so on. 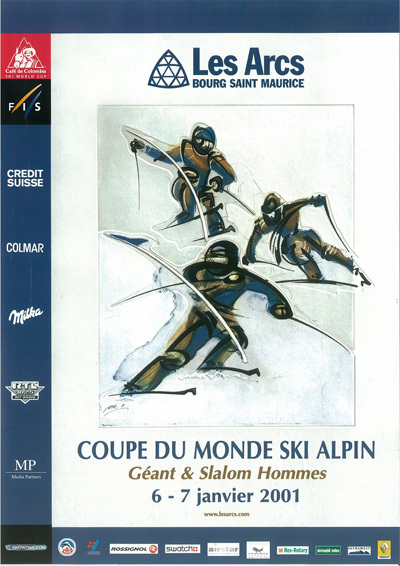 The essential event of the winter season from 1999 to 2007, this extreme skiing competition and final of the World Tour, successively sponsored by Rip Curl and North Face, brings together professional skiers and telemarkers. 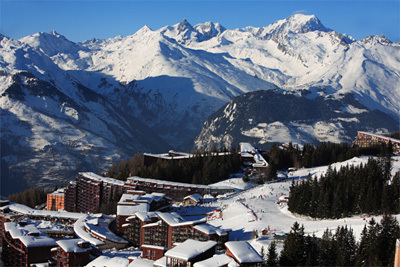 It was courtesy of the resort’s know-how and the will and motivation of the whole organising committee that les Arcs hosted a first stage of the World Cup 6 and 7 January 2001. On the Cachette piste in Arc 1600, it was the Swiss Michael von Grünigen (in: 43.67) who won the giant slalom ahead of the Austrian Benjamin Raich (in 2:45.29). The winner received an unusual prize: Lambada, a splendid tarine cow! Laughter and entertainment while supporting a worthy cause... this was the aim of the «Les Arcs Festival of Humour ». Initiated by Eric Siri, head of the radio station, between 2001 and 2008 this event held an important place as part of the summer entertainment supporting the society "Soleil d'Enfance" (childhood sunshine) in its battle to improve the everyday life of children suffering from a handicap. 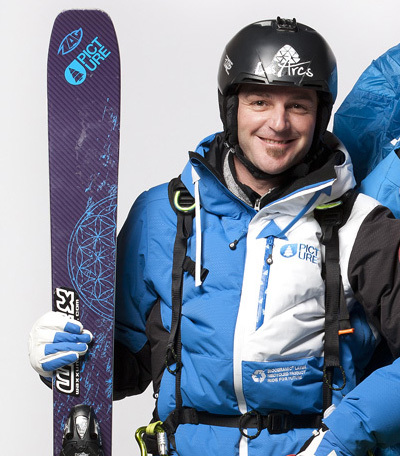 Organised by local rider, professional and pioneer François Bon, sponsored by Columbia (from 2007 to 2009), this is the major essential Speedflying event, a revolutionary sport that mixes snow riding and flying. Every year between 2006 and 2010, it brought together the world’s 20 best 20 best pilots in this spectacular sport. This event has enabled technical events that are now the benchmark on the world circuit to be set up. Inspired by Pierre Emmanuel Fleurantin and Guillaume Calop, natives of Bourg Saint Maurice, this flagship cultural and festive event launches the ski season. The aim of the Festival is to enable the public to discover art films from Europe and to encourage meetings between professionals, producers, operators and distributers. An exclusive programme of more than 70 films, in the company of renowned directors and actors. Each year features a different country. 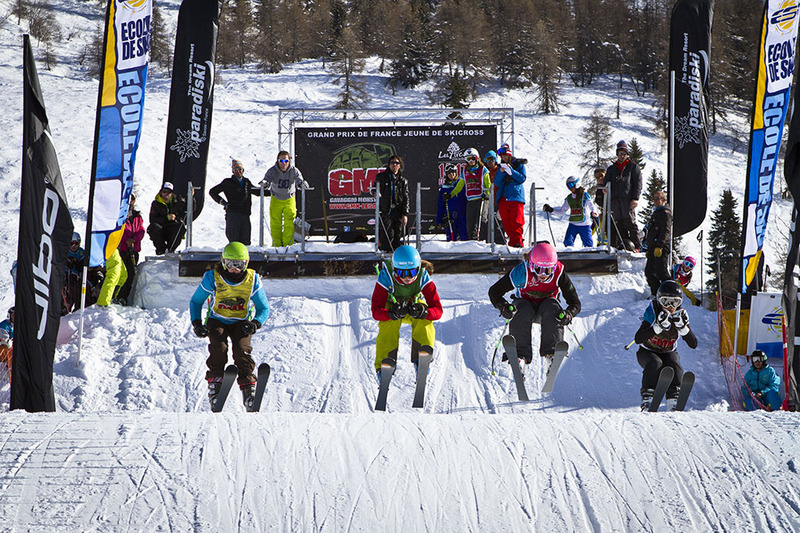 Thought up and organised by Enak Gavaggio, a real icon of skicross and a prominent Les Arcs character (7 medals at the X Games, 5th at the Vancouver Olympics), the GMX has been revealing the young talent of French skicross for 5 years (2009-2014). In this way, they benefit from the experience and advice of the champion during the course of 4 days of competition where pleasure is the dominant theme! The competition, reserved for children licensed or not, features two stages of the French Skicross Championships: Benjamins (12-13) and Minimes (13-15), in a unique ambiance just like Enak, the « Dark Lord » of skicross! 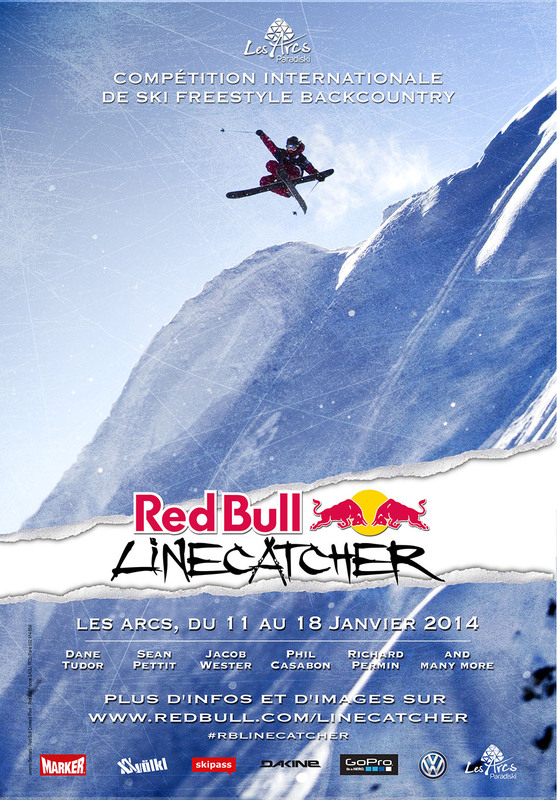 The RedBull Linecatcher emerged from the partnership between Red Bull and Les Arcs and since 2013 it has been the major annual freeski backcountry meeting in les Arcs. The event which every year brings together the world stars of backcountry skiing is a competition halfway between freestyle and freeride. Amongst couloirs, rocky outcrops, steep slopes and shaped kickers in the midst of the landscape, it is an opportunity for the riders to show off their finest aerial choreography and to win the much sought-after title with a blend of fluidity, technical prowess and commitment! Thought up by two international stars and shapers of freestyle thinking, Henrik HARLAUT (aka E-Dollo) and Phil CASABON (aka B-Dog), the B&E Inventational marks the arrival of a new era in freestyle in just one day! The course, specially designed for the occasion, features an enormous module, that is both fun and creative, blending pipe, bowls, quarters, rails, transfers…an arena more than suitable for the 19 freestyle legends who accepted Henrik & Phil’s invitation to display their talents. was created and its symbol was the Coupole, which is a reference to one of the first buildings to be constructed in Arc 1600 in 1969. The Coupole’s roof structure of glued laminated timber is made up of 5 identical half-moons with systems of intersecting arches forming a mosaic of triangles. 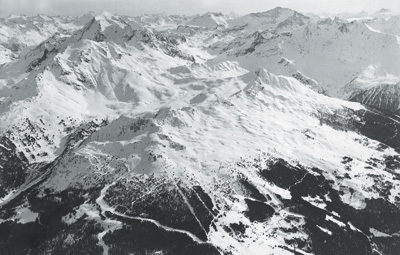 Pierre Faucheux, the building’s architect, used this structure as a graphic basis for the design of les Arcs’ symbol: 3 peaks for the 3 resorts planned at the time (Arc 1600, Arc 1800 and Arc 2000). A general shape bringing to mind a ski tip to evoke snow riding sports. 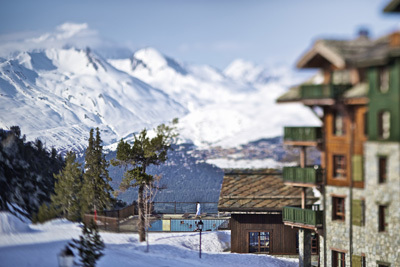 Since it was created, this symbol has been directly associated with the resort of les Arcs. * a flowing script in tune with relaxation through its handwritten style: symbols of modernism, dynamism and the resort’s hospitality. 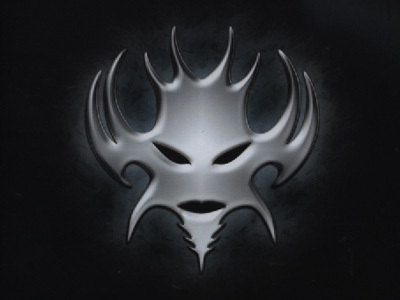 As part of one of the biggest interconnected ski areas in the world, the « Paradiski » brand also became an integral part of the logo. 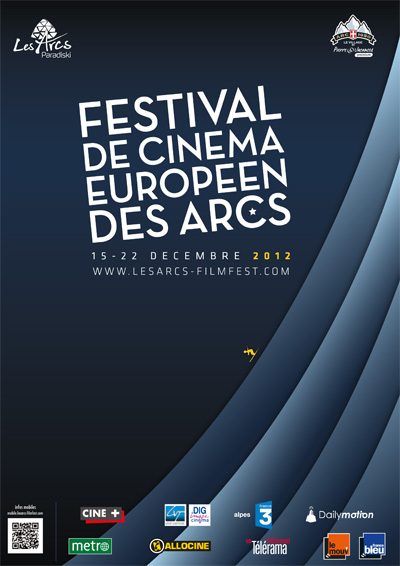 In order to modernise les Arcs’ image and to be a better match with its values, the four colour version of the logo was dropped. In 2016, the desire is to bring the historic logo (its typography, the harmony of its elements, its symbol: the Coupole etc) in line with current tastes. 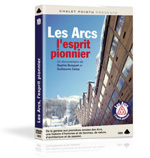 It highlights the «Les Arcs» brand, evoking its aim to stand out, to unite and to be a resort that has always been unique and legendary in terms of adventure.